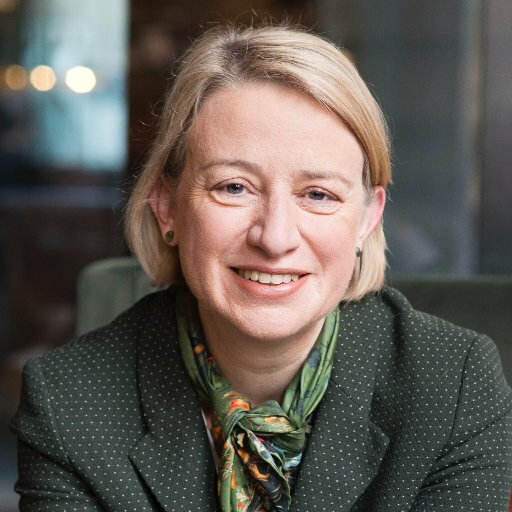 Come and hear the previous leader of the Green Party and long time Basic Income advocate, Natalie Bennett, describe how a Universal Basic Income would work, what it would mean for you and your family, and for society in general. The meeting is open to all and questions are welcome. The future of work is an issue that no one seems to want to address. With precarious employment and widespread underemployment becoming the norm, the rapid expansion of the gig economy and automation threatening to put millions out of work in the coming years, it is astonishing that the future welfare of working people isn’t dominating political discussion. It seems unlikely that the automation trend will change. Half of UK companies believe artificial intelligence will soon fundamentally change their industries. But like several other of the biggest issues which threaten our future wellbeing – most notably climate change – it’s one that most political parties have decided to duck. The Green party is starting conversations about what needs to happen for the next 30 years. As things stand, the answer to questions about the fate of working people is sadly easy to predict. We live in a society that punishes the unemployed. Our welfare state, based upon assumptions about life that belong to a bygone era, is increasingly unfit for purpose. We live in the fifth largest economy in the world. It is possible to not just weather the gathering storm, but create a new social security settlement for the 21st century. We believe this can be achieved through a universal basic income – a policy we committed to piloting in our 2017 manifesto. Universal because it would be available to all. Basic because it would provide the essential financial support we all need in the form of a regular payment. Clawed back through progressive taxation, it would be simple and transparent to administer, and provide not just basic security, but options and choices in an increasingly complex world – whether that be to study, start a new venture, care for somebody or supplement employment. The objections to a basic income invariably focus on affordability. Costings of different schemes have been done by Compass, and the Citizen’s Income Trust. Existing benefits – excluding some such as housing and disability-related benefits, which could be used to top up a basic income – could be amalgamated with existing income tax breaks to create a basic payment. But it could also be supplemented and set at a higher level, depending on how progressive we want our tax system to be. The universality of the basic income also means it is more efficient to administer than the current welfare system, providing savings. If you suddenly lose your job or finish a contract and can’t find another, there are no forms to fill in, appointments to make, no hours and hours of civil servants’ time used up. Your basic income would still be there, as it always has been. That’s what a strong and stable safety net should look like. A universal basic income would make lives less stressful and more secure. But it also has the potential to free the talents and potential of all of us, in a world of increasing opportunity and change. With a basic income to fall back on, ambitions to pursue a career that is fulfilling, rewarding and enjoyable can be realised. But despite the increasing interest in the idea in countries and provinces across the world, from Finland to Ontario, where schemes are already being piloted, here in Britain we are being left behind. We are not even at the stage of exploring its merits and potential. It is of course something that cannot be introduced overnight, as Iain Duncan Smith showed all too clearly when he fell years behind his own schedule when trying to amalgamate just six benefits to create universal credit. But unlike universal credit, universal basic income would eliminate the poverty trap. And as pilots have shown, it could incentivise, rather than disincentivise, work. The idea is there. And it is one whose time has surely come. It just requires the political will to make it happen. Entry is free. A collection will be taken to help to pay for the cost of hiring the venue.